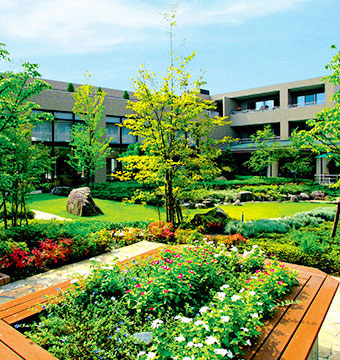 Tokyu Land Corporation runs a wide range of business projects that provide for the safe and comfortable senior living for senior citizens. 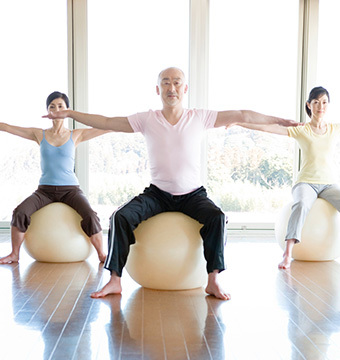 The creation and development of the health and longevity industry is a vital issue for Japan, a nation in which society is rapidly aging and people 65 years old or older make up more than 25% of the total population. 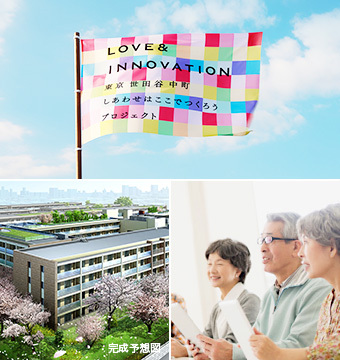 Tokyu Land Corporation offers individually tailored support to provide housing that enables people to enjoy their own lifestyles forever. It also provides comprehensive services ranging from home services to senior housing. We intend to continue moving forward with customers by helping them create "quality time" and "new happiness" for their lives. To accomplish this, we will apply our experience in operating and developing senior housing for more than ten years, as well as the expertise we have developed during this time. The Setagaya Nakamachi Project is a multi-purpose building development project consisting of BRANZ CITY Setagaya Nakamachi, a condominium, and Grancreer Setagaya Nakamachi, a senior housing facility. Grancreer is senior housing facility created by integrating the expertise we developed through many years of housing development and all the capabilities of our group. Homecreer is a one-stop lifestyle service for senior citizens. Homecreer offers senior citizens a great sense of security.